We strive to ensure that all NHCC children have the opportunity to receive an education that best matches their talents and abilities. The goal is equip them with the tools and skills that will enable them to become productive members of Cambodian society when they leave our care. 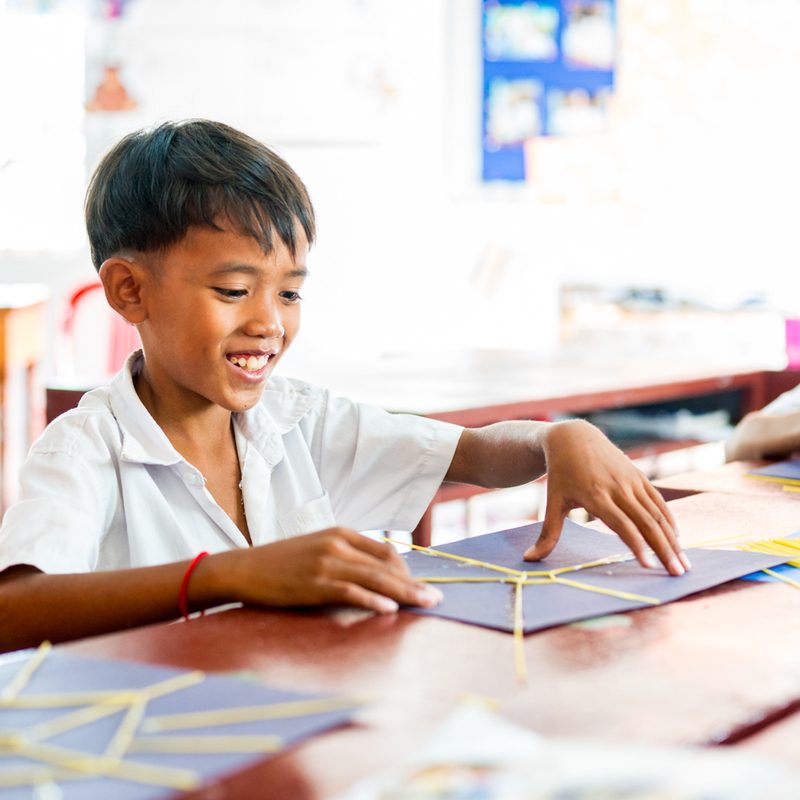 For the children in Our Village, we established the New Hope for Cambodia Children International School to maximize the quality of education for our children. In 2014, children in grades one through four attended full-time school onsite. In 2015, grades five through eight were added. In 2016, grades nine to eleven were added. Grade 12 was added in 2017 to complete the school. Grades 9, 10, 11, and 12 attend the local high school in the mornings and have supplemental English and Khmer lessons in the afternoon at NHCC. Our school also hosts over 60 day students who come from the surrounding village to receive an education. NHCC covers their uniform and supply costs. The NHCC International School now consists of a preschool and a kindergarten, 26 classrooms for instruction, a two room science building, and two computer labs. NHCC also has one of the few children’s libraries in Cambodia. All classes are taught in English and the Cambodian language (Khmer) is also taught to all students. 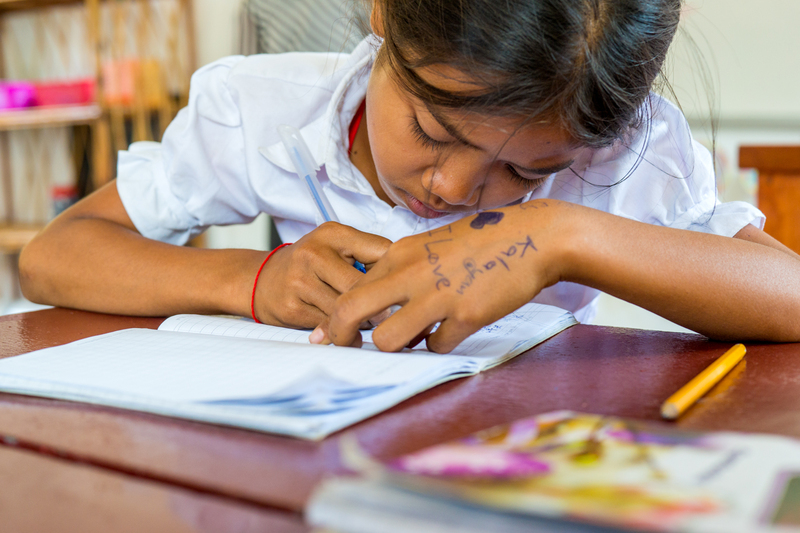 For those grade levels where the students have not yet learned sufficient English, Khmer teachers also teach math, biology, chemistry and physics.